Download your Practical Guide to Review Management! Consumers search for online reviews for reassurance and greater confidence in their buying decision. As 59% of consumers believe online reviews are just as trustworthy as their friends*, they may well be more influential than you think. 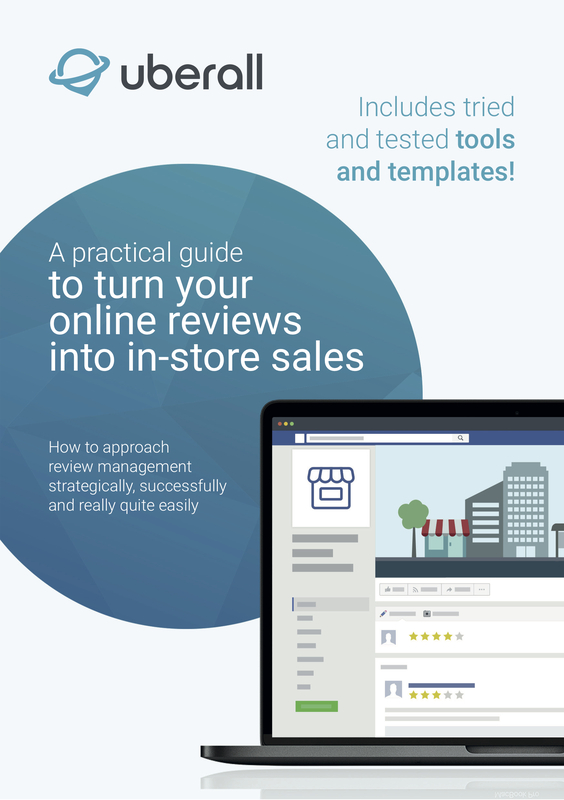 See how you can turn online reviews into in-store sales, with our Practical Guide to Review Management. You'll learn how to approach review management strategically, successfully and really quite easily. And best of all, we've included tried and tested tools and templates so you can get started right away!